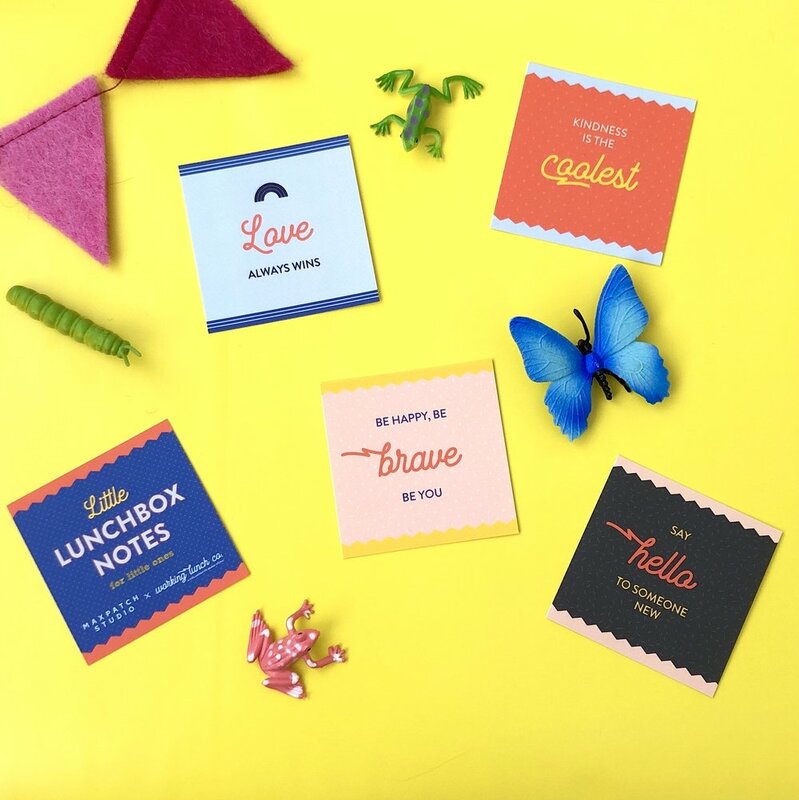 Little Lunchbox Notes was created in collaboration with Working Lunch Co., a brand studio started by my long-time friend, colleague, and #workwife. In addition to our lunchbox notes for kids, we also offer a daily dose of motivation for go-getters, boss babes, and weekend warriors. Hop on over to her site to purchase both! Designed with little learners in mind, our lunchbox notes for little ones are sure to delight even the pickiest eaters. Each card is unique and explores sentiments of love, kindness, empathy, respect, and encouragement—all of which we could use a little more of. 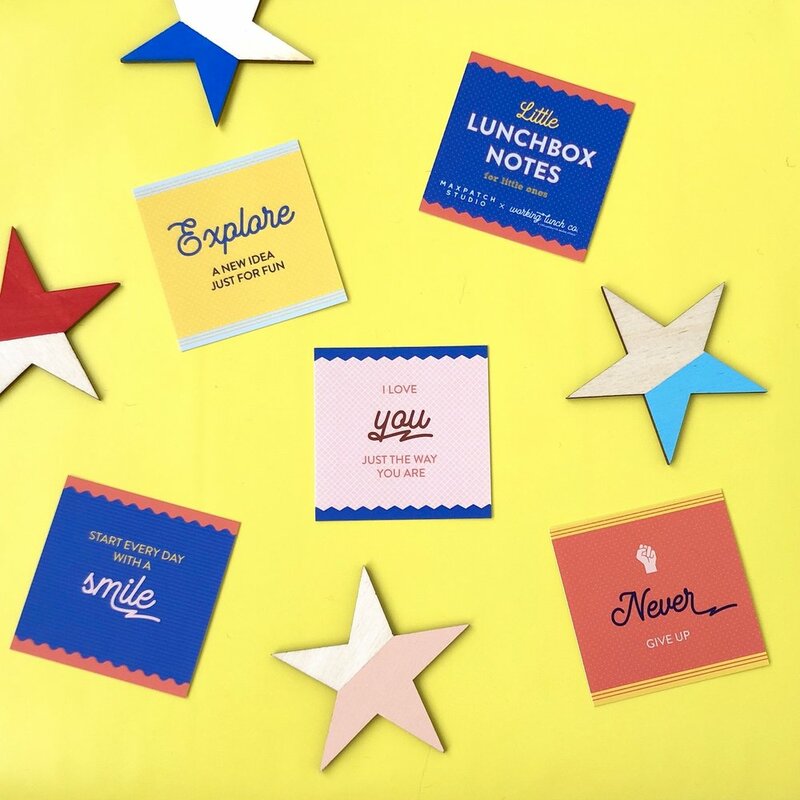 Toss one in your child’s lunch to share a special reminder or prompt a new adventure, and don’t forget to add a personal note on the back!